Music is very limited in our schools. Music may be provided in the form of Choirs or Recorder bands due to financial constraints. Only the very privileged have access to Orchestral instruments. A new reasonable quality concert flute can cost about R8000 which not many of even the privileged can afford. So, very few children in South Africa get exposed to orchestral musical instruments. This flute is a starter flute, but is much more sophisticated and challenging than the plastic recorder. The flute sound is extremely beautiful by comparison with the recorder and is a fraction of the price of a concert flute. Schools can create Flute Ensembles from either the C or Bb major flutes, which audiences will find much more entertaining and pleasant to listen to than the simple recorder. This starter instrument will assist parents financially. 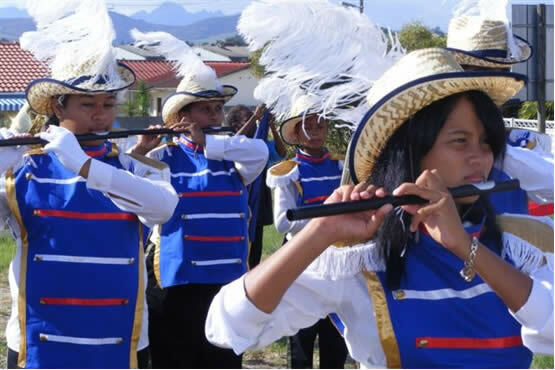 Before they commit to the expense in excess of R8000 for a musical instrument for their child, (or themselves), they can try this starter flute first. If the child is diligent, practices often and shows promise, then the parent can upgrade to the concert flute or another instrument with the confidence that their investment won’t end up in the bottom of the cupboard. This flute makes a valuable contribution to our rainbow culture and gives greater access to orchestral music across all sectors of our society. Flutes for schools and marching bands are available in matt black with a matt silver mouth piece. The Bb flute preferred by marching bands as they are in tune with Brass instruments are the same price as above.